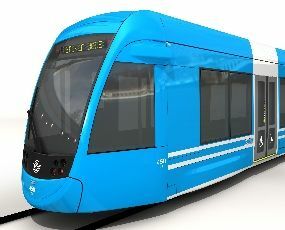 The city of Stockholm, through the company SL AB (company responsible for the transport network in said city), has awarded Construcciones y Auxiliar de Ferrocarriles (CAF) a contract for the supply of 15 LRVs, with the possibility of exercising up to 121 LRVs, in which case, the contract could amount to up to approximately 340 million euros. This consists of a single direction low floor unit providing for accessibility optimisation and is made up of 3 modules and 4 motor bogies providing a high traction-brake capacity and a maximum speed of 90 km/h. Particularly adapted for the extreme weather conditions in this Nordic country, the LRV is fitted with state-of-the-art comfort and safety equipment. Likewise, CAF was chosen by the Grand Beacon region (in the French department of Doubts, in the Franche-Comté Region), as supplier of rolling stock in the project for the realisation of the first Grin Beacon LRV line. The precise number of LRVs shall be established according to the traffic, but will initially range between 15 and 18. For the city of Nantes (the Loire Atlantique department, Pays de Loire region), this Project consists of the supply of 8 LRVs, also 100% low floor, each with 5 modules, with an option to supply a further 4 LRVs. These projects follow on from other obtained in international tenders such as in Edinburgh, Belgrade and Antalya (Turkey), as well as those in Zaragoza, Granada, Málaga, Seville, Bilbao or Vitoria, confirming CAF’s ever growing importance in the European LRV market.